Off the back of our F10 M5 deal we’ve agreed another unique offer for AnyM readers only. 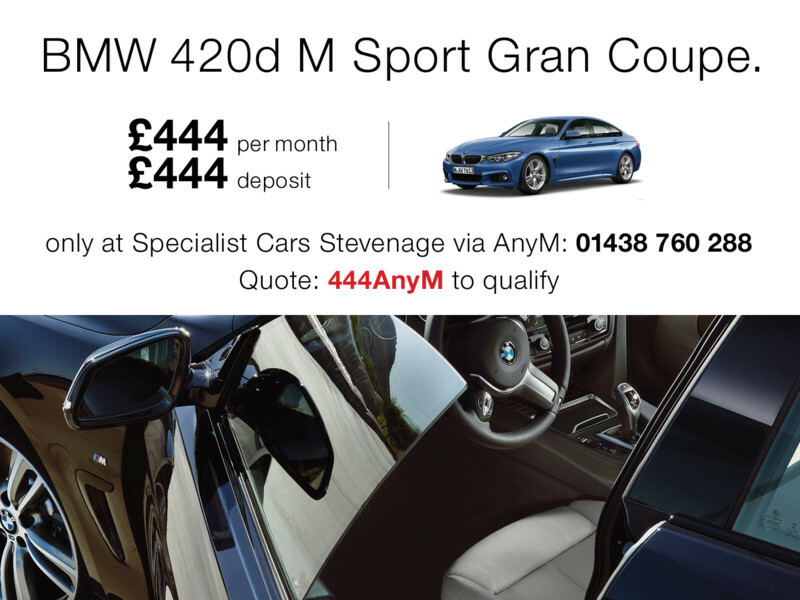 This time it’s for a 420d xDrive M Sport Gran Coupe (bit of a mouth full), which Specialist Cars tell me is ready for immediate delivery. • Only one car available at this price. • 5 years or 50,000 miles free servicing. The team were also keen to highlight that adding more of a deposit would reduce the monthly payment even further.